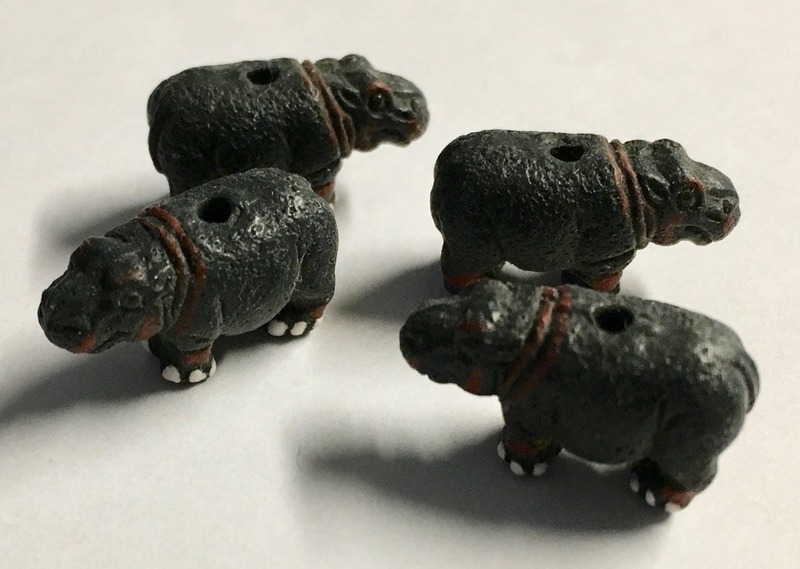 This listing is for one tiny 3D Peruvian ceramic hippopotamus bead! Beautiful detail on this tiny bead. Beads are approximately 9mm x 16mm with hole drilled vertically. Holes are sized around 1mm with some variation from bead to bead. Great size for use in earrings, necklaces, charms, lanyards, and more.